Saving time and audit recoupment losses. PBMs continually monitor claims data to identify and develop specific audit targets (i.e. high cost claims, DAW submissions, diabetic supplies, etc.) 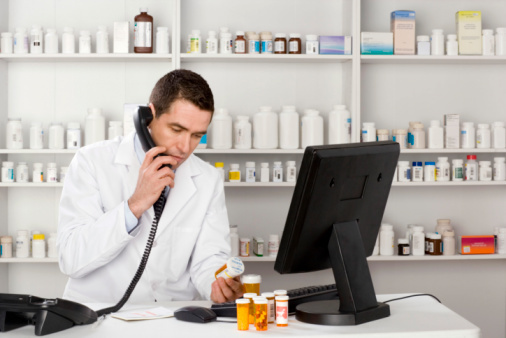 that are known to generate billing errors and create significant opportunities to recover payments from pharmacies. The good news is that the majority of billing error recovery is preventable with the right tools! RxProtect has developed a multi-level approach to assist with PBM audits. Our audit solutions focus on preventing audit recovery by providing you and your staff with up-to-date tools and information that work together to mitigate billing errors and improve compliance with prescription documentation requirements – State, Federal, and PBM specific. RxProtect is designed to help you and your staff through the entire audit and audit appeal process! Staff Training for Hardcopy Documentation Requirements - You have access to up-to-date training materials to use with your staff. RxProtect has assembled hardcopy documentation requirements from State and Federal sources, and have combined them with additional requirements that PBMs have developed. A copy of the technician training manual can be sent to you electronically or as a hardcopy via mail. If you prefer, our experienced audit analysts can come onsite to train your staff in-person. ** RxProtect analysts are also available to train your staff via webinar upon request. Subscription to Audit News Monthly - PPOk’s Audit News Monthly Newsletter can be sent to as many staff members as you choose. These tips will update you and your staff on the most recent PBM audit trends seen by the RxProtect audit analysts. The newsletter will also include updates on which PBMs have increased their number of audits, additional compliance items auditors will request from you, and many other articles that will educate you and your staff on ways to prevent audit recovery. Billing Reference Guides – One of the most common methods that PBMs target audit recovery is through drug products that have uncommon or challenging quantity/days supply calculations based on package size. We have put together several tools to assist your staff in validating difficult or uncommon quantity/days supply calculation to ensure more accurate billing. RxProtect will provide you with a custom solution based on the PBM and type of audit being conducted. We will provide specific hardcopy documentation requirements to assist you in preparing for the audit. A successful review of documentation is essential in preventing audit recovery. As an added benefit, RxProtect uses your claims data to audit your prescription claims on a weekly basis. You will receive a weekly report* which identifies billing errors and provides you the opportunity to reverse, correct, and reprocess the claims which may normally trigger audit. After an audit takes place, if there is any audit recovery found by the PBM, RxProtect will provide you with specific appeal instructions. By using our knowledge and experience from previous audits and appeals assistance, you will be advised on what documentation will be accepted by the PBM in order to reverse the recovery of an audit. RxProtect appreciates your interest in audit protection services. By choosing RxProtect as your audit partner, you will receive incomparable audit knowledge and an enthusiastic willingness to assist you in preparing for 3rd Party audits. Please contact our sales staff today to learn more. Call 1-877-557-5707, option 6.